- Works well in wet conditions as well as in cold brake conditions. - Withstands abrupt temperature changes allowing for quick fell return. - Withstands friction ratings of 0.7u and does not require any heat to deliver friction. - Requires very little brake pressure effort under repeated braking. - Recommended for those looking for "consistent" or "ultimate" stopping feel and control. - One year manufacturers warranty on rotors. 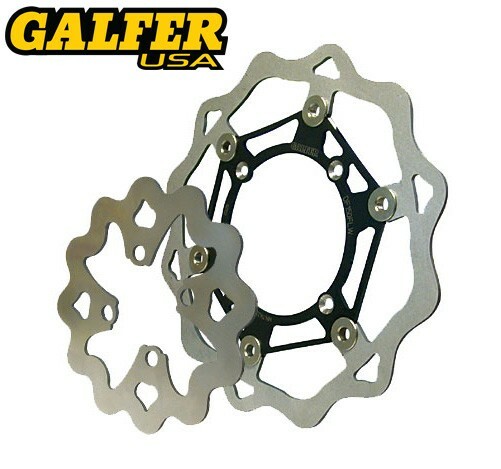 - Mini's have a solid mount rotors, big bikes have a floating rotor design.